The App Store is growing by the minute as iPad apps are being approved. According to Mobclix, there are a total of 3,122 iPad apps in the store. 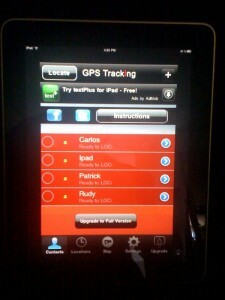 2300 iPad apps are available for download, of which GPS Tracking is one of them. Currently, 80 percent of iPad apps in the store are paid apps, coming in at 2523 apps total. Only 599 of the apps are free, representing 20 percent of all apps. Mobclix says the average price of apps is $4.99; and it will run you $12,572.78 to buy all the apps in the store. If you have not gotten a glimpse of the GPS Tracking app on a BIG screen….check it out.